PC vendor adds a smaller iteration to last year’s revamped gaming notebook line-up. Alienware continues its push into the mobile PC market with the introduction of its Alienware 13 notebook. The company demonstrated its interest in the mobile gaming space when it unveiled a trio of streamlined notebooks, named 14, 17 and 18 respectively, at E3 2013. This year’s new addition to the line-up is the Alienware 13, which supplants the Alienware 14 as the most compact gaming notebook offered by the PC vendor. Power requirements of gaming-centric hardware has meant Alienware was restricted to creating large notebooks that acted as desktop replacements, though the 13 notebook aims to buckle the trend. Dell A/NZ end user computing general manager, Jeff Morris, said Alienware’s desktop replacements, represented by the 17 and 18 models, remain a focus for the vendor, though likens the Alienware 13 to the “next step in the PC gaming revolution". “Gamers appreciate the effort to get as much technology and power into as compact a space as possible,” he said. Alienware 13 is notable in that it has the same power as last year’s Alienware 14, yet comes in a form factor that is almost half as thick (1” compared to 1.7”) and almost one kilogram lighter (from 2.8kg to 2kg). The PC industry uses Moore's Law as a benchmark for PC innovation, and the slimmer Alienware notebook seems to indicate vendors such as Alienware are keeping up with the trend. 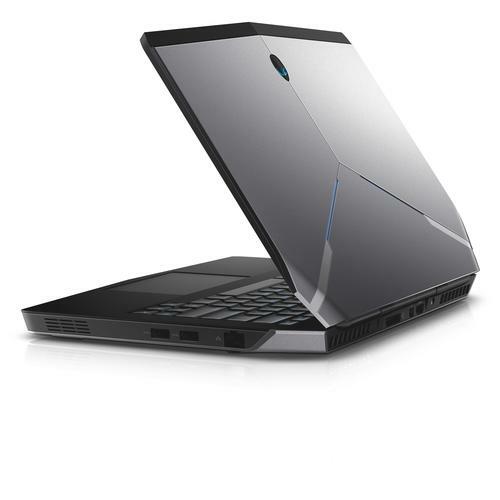 Morris said the notebook was made possible though today’s innovations in CPU and GPU technologies, as well as the 11 years of experience Alienware has in engineering. “We have designed the Alienware 13 for gamers who are interested in a high performance gaming experience, but with the smallest form factor laptop available,” he said. Read more: Windows 8 tablet tips: How do I connect a TV to my tablet? The Alienware 13 has been competing for consumer attention with the recently announced Alpha console from the PC vendor, leaving little room for updates about Alienware’s desktop range. Morris said Dell A/NZ will make further announcements about its Alienware desktop plans, as well as the Alienware 13 and Alpha, at this year’s PAX event held on October 31 to November 2 in Melbourne. As with the Alpha, the Alienware 13 is slated for release in Australia later this year, with local pricing and configuration to be revealed at a later date closer to launch. Read more: What is AMD FreeSync?